Ever since New York Giants’ wide receiver Homer Jones first drilled a football into the hallowed turf of old Yankee Stadium after taking a routine Earl Morrall screen pass 89 yards to paydirt against the Philadelphia Eagles on Oct. 17, 1965, thereby dubbing it the “spike” . . . Touchdown celebrations have been as much a part of the National Football League as Gatorade baths, the Terrible Towel, Green Bay’s iconic “Frozen Tundra,” and referee Ed Hochuli’s biceps. After all, they showcase a player’s creativity. They give the casual fan something to look forward to, even if they’re not interested in a particular game. They inflate television ratings. They’ve been known to celebrate a player’s culture (anyone remember former San Diego Chargers’ tight end Alfred Pupunu, a Tongan, “twist the top off a coconut, and drink the juice” every time he scored a touchdown?). And let’s face it, they’re just plain fun! For instance, in weeks one and four of this young ‘16 season, Steelers’ electrifying receiver Antonio Brown was flagged twice, and fined a total of $36,463 for “twerking” (remember the dance made famous by shock pop artist Miley Cyrus at the 2013 MTV Video Music Awards) after taking a pair of Ben Roethlisberger passes to the house. The NFL’s justification for levying such an obscene fine on AB? It has an obligation to protect its product and viewership especially young, impressionable viewers against obscene, “sexually-suggestive” actions that are “construed as being in poor taste.” And while AB’s dance he calls it the “Boomin’”- does indeed incorporate a good bit of pelvic thrusting, where is the NFL’s outrage when it signs some of the sexiest names in pop music à la Beyonce Knowles, Katy Perry, Fergie, and Lady Gaga to perform at its Super Bowl halftime spectacles . . . Where said divas reap a fortune in viewership for the league every February by purring out overtly-sexual hits, and accompanying them with thrusts, gyrations, and other dance moves similar to Brown’s? Elsewhere this season, Giants’ dynamic duo Victor Cruz and Odell Beckham Jr were fined $12,154 each when Cruz performed his customary salsa dance after scoring his first regular season touchdown in over a year (the New York pass catcher sat out the entire ‘15 season due to a nagging calf injury). Still, it wasn’t Cruz’s popular dance at all that elicited the steep fines, but instead Beckham Jr’s involvement, which saw the mercurial receiver kneel in the AT&T Stadium end zone, and snap fake Polaroids of his teammate’s moves. The league’s problem with the celebration? It was deemed “excessive, prolonged, and choreographed,” although interestingly enough, it was never flagged. Yet, if the NFL is going to employ that third criteria choreography shouldn’t, too, Cruz’s salsa be flagged and fined every time he catches a TD pass from Eli Manning? Is not the dance the very definition of the term “choreographed?” Has it not been “premeditated,” or planned throughout much of Cruz’s model six-year career? Or because Cruz has been a model citizen, and is still a fresh, young face of the NFL, is he immune to the league’s erratic, often absurd punishments, whereas Beckham Jr with his alleged immaturity, his volatile, powder keg personality, his recent on-field history, and his shock of yellowish hair is not? Were these fines more a case of guilt through association? Is this just more of the modern NFL’s hypocrisy? As of the ‘14 season, players have not been able to “dunk” the football over the goalpost crossbar in the vein of Alvin Harper, Tony Gonzalez, and Jimmy Graham. Tabbed the “Jimmy Graham Rule” due to a ‘13 game during which monstrous 6’7”, 265 lb then-Saints’ tight end Graham hauled in a touchdown pass, and then proceeded to throw the pigskin down violently over the crossbar, thereby actually bending the 500 lb aluminum structure, and knocking it askew . . . NFL officials made the celebration illegal shortly afterwards, enforcing the decision with the threat of both a 15-yard unsportsmanlike conduct penalty, and an approximately $15,000 fine (Graham, now a Seahawk, has been fined a total of $30,000 for a pair of thunderous dunks since). The league’s thinking on the ban? It’ll cut down on lengthy repair delays in an already at times three-plus hour game, and perhaps more importantly, assure of player, official, and fan safety if indeed a goalpost was to be damaged more than the one was in the freakish Graham dunk, and Heaven forbid come crashing down. And while “safety” for one’s fellow man is indeed a noble cause, then why did the NFL “grandfather” the 23-year-old “Lambeau Leap” into its ever-thickening volume of rules as a legal celebration in ‘00? Absolutely, it’s one of the coolest TD celebrations in all of football, and has stood as a time-honored Green Bay tradition ever since former Packers’ safety LeRoy Butler returned a fumble recovery for a score, and proceeded to leap into the crowd for the first time way back in 1993. And, sure, it officially takes place “off the field of play,” whereas the majority of TD celebrations that get flagged (and fined) for infractions like “delay of game,” and “taunting,” and “unsportsmanlike conduct,” allegedly do so because they occur within the parameters of the gridiron. But, if the NFL is going to cite “safety” as an issue in the banning of goalpost dunks, shouldn’t it at least consider it with the “Lambeau Leap,” as well? Realistically, what’s more probable, a goalpost crashing down, and badly injuring the “dunking” player, an official or two, and several fans seated in the end zone section of, let’s say, the Georgia Dome? Or, a Packers’ wide receiver like Jordy Nelson or Davante Adams attempting to jump into the crowd after snaring an Aaron Rodgers’ touchdown pass, and in the process sliding off the icy wall and breaking an ankle on the frozen turf below (or worst case scenario, knocking a fan over the side in the midst of the leap, causing serious injury or worse). Stranger things have happened! Can you say lawsuit, NFL? Further, it’s not merely celebrations in the end zones that are getting lost in this current whirlwind of hypocrisy, out-of-whack priorities, and outright lunacy either! Indeed, more and more celebrations as a result of big plays between the goal lines -and particularly defensive plays- are being blindsided by penalties of the 15-yard unsportsmanlike variety, and ridiculous fines, as well. Case in point? How about Redskins’ star cornerback Josh Norman’s 15-yarder and ensuing $10,000 fine for “shooting an invisible bow-and-arrow” as means of celebration when he picked off a Cody Kessler pass during the fourth quarter of a week four matchup with the Browns? It’s a fact that not one player, official, stadium employee, or raucous fan losing their mind inside FedExField was hurt or killed when Norman pulled back his invisible bow, and let that arrow fly . . . Yet, still, the NFL labelled it a “violent act,” and will look to open its hallowed rulebook at least one more time in the near future probably before the 2017 season kicks off to ban the “bow-and-arrow,” along with the “throat slash” gesture, the “machine-gun salute,” and the “six-shooter” celebration, all of which have been victimized by the league’s “fun posse” in seasons past. And, okay, maybe some of these more marginal celebrations like the aforementioned “throat slash” and the “machine gun salute”- should be mothballed due to current events and American tragedies in recent years, but the “bow-and-arrow?” The NFL is going to strike quick and decisive on such a “violent act” as this, yet drag its feet on bringing justice to the random bullies, wife beaters, and other miscreants who have been giving the game a proverbial black eye for years? Oh, the NFL usually does suspend these players from the league eventually, it just takes a long time. Unlike, say, disciplining a player for dancing! Talk about your out-of-whack priorities! All that being said, football is supposed to be fun, and a majority of the time, touchdown celebrations are just that . . . Celebrations of America’s greatest game, and its greatest professional sports league (even for all of its above flaws), that comes forth from these players and more when they feel the same joy and passion for the sport that they felt when they were little boys. That’s why the Pack leaps at Lambeau. That’s what made Washington’s “Fun Bunch,” well, fun. That’s what made 1980s-era New York Jet of the famed “New York Sack Exchange”- Mark Gastineau go all “wild man,” and perform his savage “Sack Dance” every time he brought down a quarterback. All that fun and passion, NFL? It’s part of why we watch. It’s part of what we talk about around the proverbial water cooler on Mondays, it’s what we Tweet about, and why we share videos on Instagram with our friends. And, we, the NFL fans, are a huge reason why your product is so big, too. Keep taking all the fun out of our favorite game by penalizing and banning touchdown dances and other celebrations, and the biggest thing about your product will be Hochuli’s arms as he throws flag after flag. This entry was posted in Uncategorized on October 31, 2016 by footpaul. Before the early morning sun even had a chance to kiss the shores of South Beach, a dark cloud had been cast over far more than Miami and the sporting world. Reports of a boating accident involving a 32-foot fishing boat nicknamed Kaught Looking (spelt with a backwards K) just off the coast of Miami came in early Sunday. 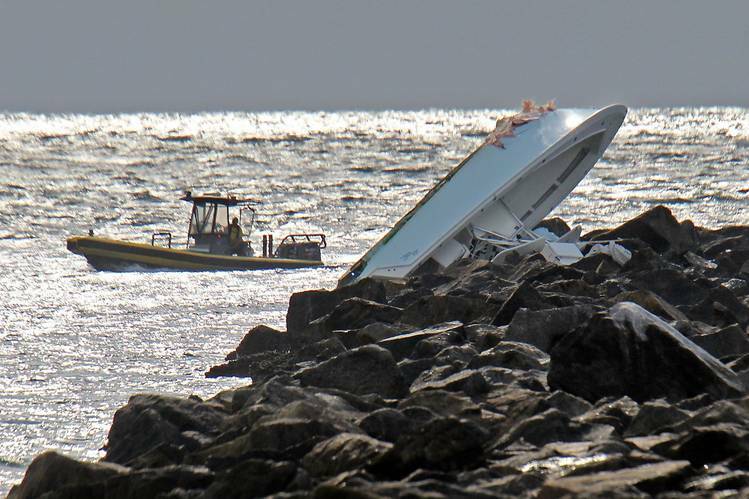 The vessel belonged to José Fernandez, star pitcher of the Miami Marlins, who, along two of his close friends, Eddy Rivero and Emilio Macias, died that night when their boat crashed into a jetty and landed upside down on the rocks. However, in the words of Dr. Seuss and as legendary broadcaster Vin Scully signed off his final game with “do not be sad it’s over, smile because it happened”, which is what we should all do in remembering the lives of Rivero, Macias, and Fernandez. Fernandez, 24, attempted to escape three times from Cuba, before finally reaching the United States with his mother, and leaving his grandmother behind. He was drafted in the first round of the 2011 MLB amateur draft (14th overall) before making his début for the Marlins as a 20 year-old in 2013 when he dominated the New York Mets, striking out eight in just five innings. That year he played in an all-star that year as well as Rookie of the Year honors for the National League. 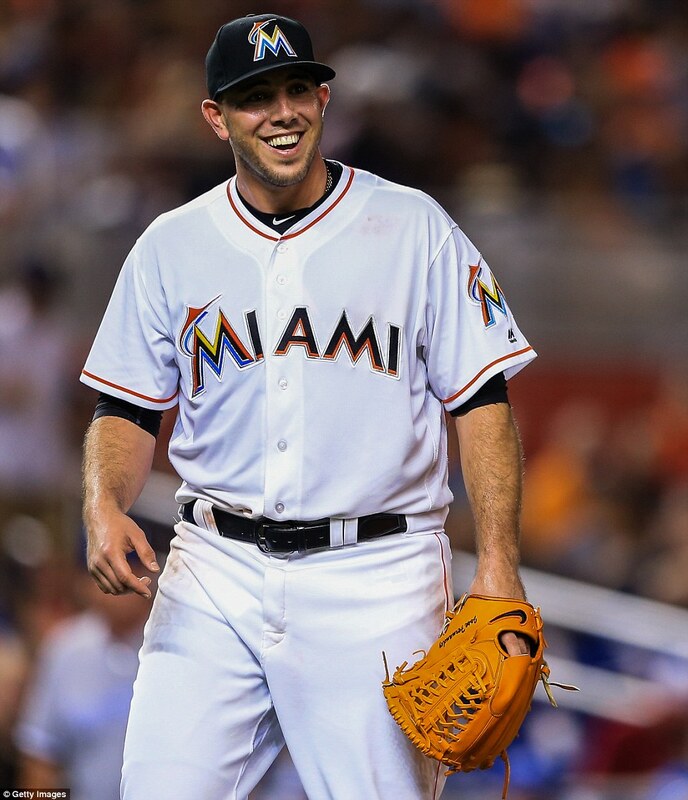 Injuries would plague his next two seasons, but Fernandez would return to all-star form in 2016 as he racked up 16 wins to go along with an earned run average under 2.9, putting him in contention for a Cy Young award. However, Fernandez were far more than phenomenal numbers, as it is his person for which he will forever be remembered. As so many involved with the game of baseball could tell you, Fernandez brought a certain joy to the clubhouse, coming to work day in and day out with the giddiness we all had when we played the game as children. In short, he made the game fun again. One need look no further than moments like a booming Giancarlo Stanton home run, where Fernandez can be found in the dugout jumping up and down, his hands flailing in the air, and a huge grin on his face, to see just how much fun he had just by coming to the ballpark. Another moment he’ll be long remembered for is when he caught a screaming line drive off the bat of Troy Tulowitzki who looked out at Fernandez stunned asking “Did you catch that?” to which Fernandez replied through his massive smile “Yeah. Yeah, I did”. Or after his final game, which he claimed was the best he had ever pitched, when he came back to the dugout and received a massive bear hug from hitting coach and good friend, Barry Bonds. It was not until it was too late, however, when we all got to see just how much Fernandez meant to the Marlins organization and the game of baseball. Approaching Marlins Park Monday morning, one would see a sunny day everywhere but over the stadium where one cloud poured rain on the dome in the start of an overwhelming, emotional day. The game would start with tributes and grieving from both teams for Fernandez, whose number 16 covered the stadium and the mound, before the Marlins took the field with eight players, all wearing Fernandez’s number 16, missing their pitcher. After the Mets were retired in the top half of the inning, Dee Gordon led off for Miami, taking the first pitch thrown to him from the right-handed batter’s box while wearing Fernandez’s helmet, before switching to his natural lefty side. Two pitches later, Gordon would hit a powerful home run to right for his first homer of the season. An emotional trip around the bases concluded with tears throughout the stadium and hugs from every teammate in the dugout. After the game Gordon said, “I told the boys, if y’all don’t believe in God, y’all might as well start. I ain’t ever hit a ball that far, even in BP…we had some help.” Even though the Marlins ended up losing the game that day, the entire stadium and baseball community felt the presence of Jose “Niño” Fernandez cheering on his teammates from above that day. This entry was posted in General, Local, MLB, National and tagged Dee Gordon, Jose Fernandez on October 5, 2016 by Nate Flax.